Product categories of Chameleon Vinyl Film, we are specialized manufacturers from China, Chameleon Vinyl Film, White Chameleon Wrap suppliers/factory, wholesale high-quality products of Carbon Chameleon R & D and manufacturing, we have the perfect after-sales service and technical support. Look forward to your cooperation! We Vasin Enterprises have bring forth our vast industrial experience and expertise in this business of as wholesale trader of Retro Reflective Rolls, Sandblast Stencil, Car Wrap Vinyl Rolls, Advertising Materials, decorative vinyl films and many more. We are a ultimate organization incorporated in the year 2007 as partnership where our product range complies with the national quality standards. We have hired a team of dedicated personnel that performs their business activities in a most excellent achievable mode in order to attain the set target of the organization. The experience of our professionals in the field is clubbed with the in-depth knowledge and understanding of the necessities of the market. 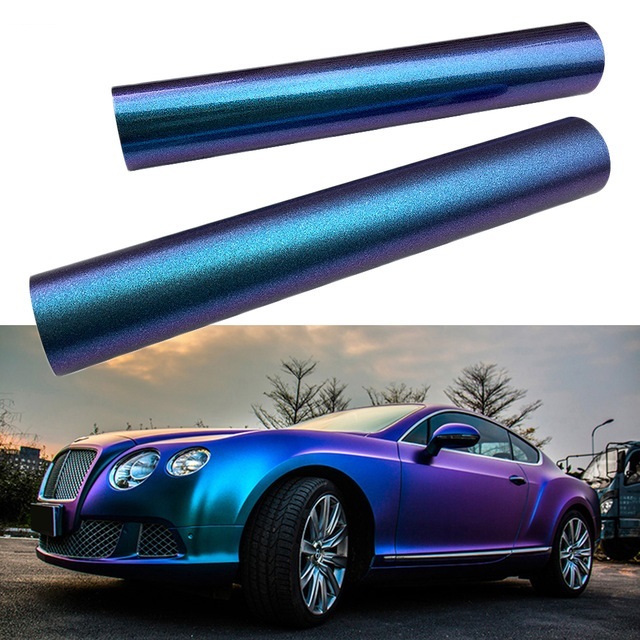 Vasin's Chameleon Vinyl comes with ADT (Air Drain Technology) and is used by professionals to wrap Cars, Motorbikes, Boats and even Furniture. The Self Adhesive Vinyl can be installed on all sorts of surfaces, regardless of the curvature and the Air Drain Technology on the adhesive side allows for a bubble free installation. This means there are an unlimited amount of applications, from the exterior and Interior of your car to your Motorcycles tank. Vasin Vinyl Films Chameleon Vinyl Film gives a dry carbon look that has a three-dimensional texture to it. This allows it to reflect light the same way that real carbon fiber would, making it the best real-world alternative to carbon fibre when you just want the look without paying a ton of money.